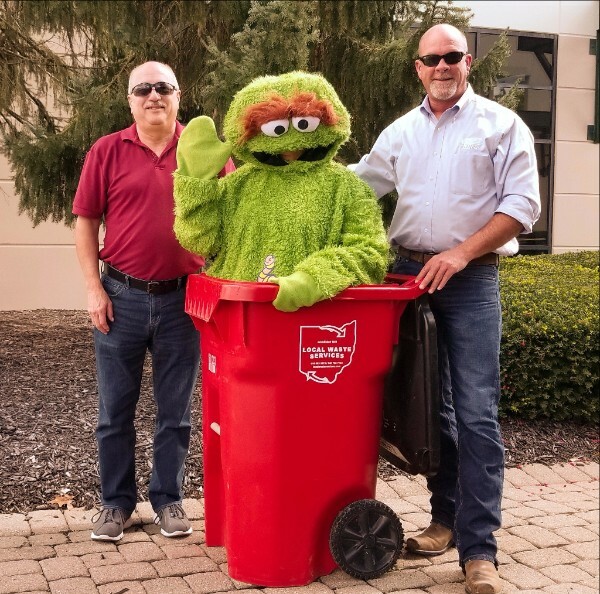 When Local Waste Services selected Renier Construction to build a new corporate office they both knew just where to turn: Oscar the Grouch, the expert in trash. The new facility will replace the 50-year old current headquarters on the same property in south Columbus. The construction process began in mid-April and is expected to wrap up in late October. The 10,000 s.f. building features a large painting of the state of Ohio on the exterior, a homage to the company's deep-rooted history in the Buckeye state. The building is a breath of fresh air for employees and visitors, and Oscar doesn't mind his new digs either. Renier is a Best Place to Work! Renier Construction has been named a 2017 Best Places to Work Honoree for the second year in a row! This award is especially valuable to us because it’s a blind survey that measures employee satisfaction, engagement, and positive work environment, and is a true testament to our company culture and values. Check out this time-lapse video of construction on the new MPW Industrial Services Technology Engineering & Fabrication Center in Hebron, Ohio. Renier completed this 78,000 s.f. project to house their engineering and industrial tech group on the company’s 46-acre campus. In less than eight months the project was complete, but you can see the entire construction process in just over a minute. 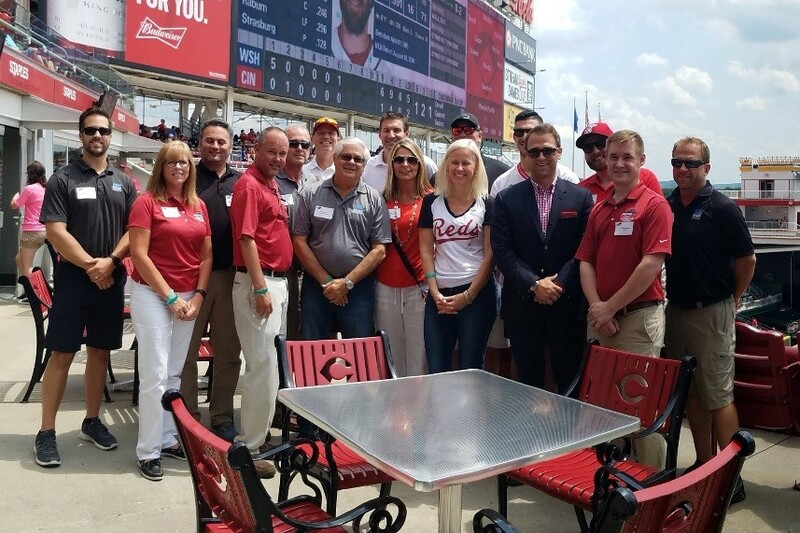 In July, Renier Construction joined the Greater Cincinnati Automobile Dealers Association for a fun-filled day cheering on the Cincinnati Reds at the Next-Gen auto dealers outing. We had a great time and look forward to the next one! What’s the best way to approach building an owner-occupied facility? 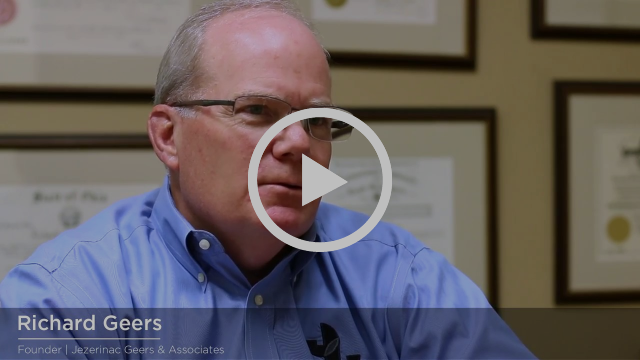 In a recent Columbus CEO article, Renier Construction answers this question by focusing on four pitfalls to watch out for when beginning a new construction project. This month, we are showcasing a few members of Renier’s next generation – a group that’s integral to the future of our company. 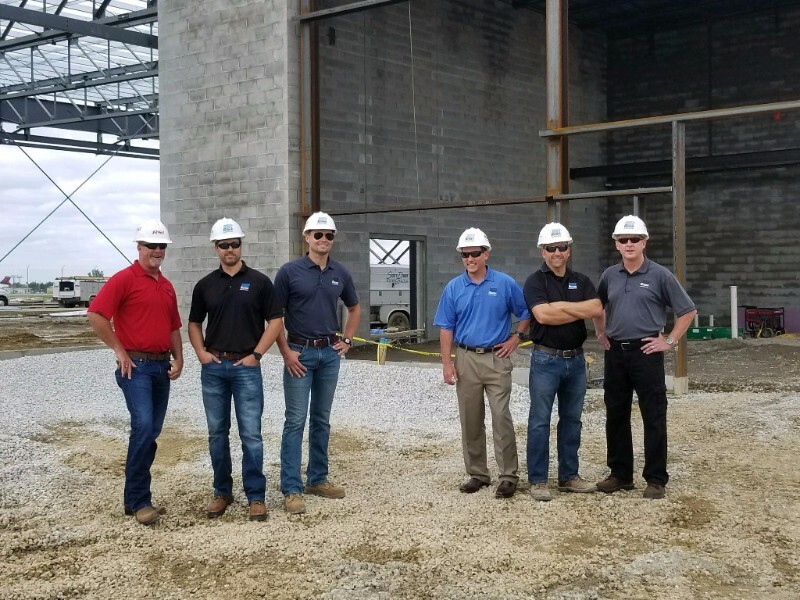 We’re committed to cultivating a continuity of industry leadership from one generation to the next, and our confidence in our next-gen team paves the way for Renier Construction. Whether intern or vice president, our team is committed to understanding and instilling Renier’s values from day one: tell the truth, live up to your promises, admit and fix your mistakes. Recently featured in Columbus CEO, meet Renier’s FACES of design-build construction and the FACES of our next generation here. Photo credit: Renier Construction. Pictured: Joe Ross, Kyle Prince, William Thompson, Rob Gibbs, Jason Collins and Ken Crossley. Renier's values align closely with our partner, Jezerinac Geers & Associates, which is one of the reasons our long-term relationship works so well. Co-Founder Richard Geers highlights why they choose Renier again and again for their construction needs. — Doug Galiardi, President, Electric Solutions, Inc. Enter your email address and we'll notify you with Renier's latest news. Find out why our clients turn into friends. © 2018 Renier Construction. All Rights Reserved.